Medical Principles of Hemostasis: Just Give Me the Nuts and Bolts! Careful monitoring of end points of trauma resuscitation and understanding of principles of hemostatic resuscitation are needed to guide management of critically ill patients and improve outcomes. The purpose of this review is to discuss early resuscitation goals, hemostasis management, and thromboelastography to guide resuscitation of trauma patients. Principles of early directed therapy to correct metabolic and physiologic derangements are described. The use of thromboelastography to guide hemostatic resuscitation is reviewed. 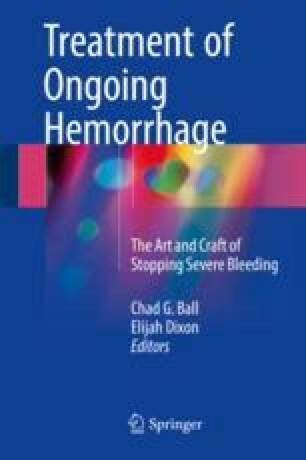 The techniques outlined in this chapter have the potential to optimize individual patient resuscitation thereby reducing unnecessary blood product utilization.